We are an independent housing provider with a passion for doing the right thing and finding a way to say yes. Are you customer focussed? Do you have a “can do” attitude? Do you enjoy a challenge? 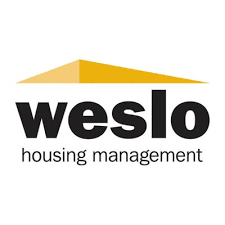 If the answer is yes, then please read on…..
Weslo Housing Management is a Registered Social Landlord and we are subject to regulations laid out by the Scottish Government relating to the standards required for the condition and management of properties. We are recruiting for a Gas Engineer/Plumber who will play a key role in ensuring that these standards are met and who will be part of a vital service link between Weslo and its tenants. AC’s Qualifications to include; CPA1, CCN1, CEN1, CKR1, HTR1, MET 1, City and Guilds NVQ (ACS Aligned) Level 3. For natural gas domestic installations, water bylaws and Unvented Cylinders. Experience in the installation, service and repair of domestic heating installations. Experience in the service & repair of unvented hot water systems (provide copy of certificate of competence). Experience of basic electrical fault finding in relation to gas servicing and maintenance. For a comprehensive list of the essential and desirable criteria required for the post, please refer to the job specification. We are an Investor in People Platinum Award and Investors in Young People Gold Award holder; we aim to provide a wide range of development opportunities for staff. We also hold a Health and Wellbeing at Work Award and aim to provide our staff with healthy living initiatives. For an application form and job specification, please visit our website at www.weslo-housing.org/about-us/vacancies or contact the Corporate Services Team on 01506 634286 or email hr@weslohm.co.uk. The closing date for completed applications is 10am on Monday 29th April 2019. Interviews will take place on Thursday 9th May 2019. Weslo is committed to equality of opportunity in employment practice and therefore we welcome applications from all sections of the community.